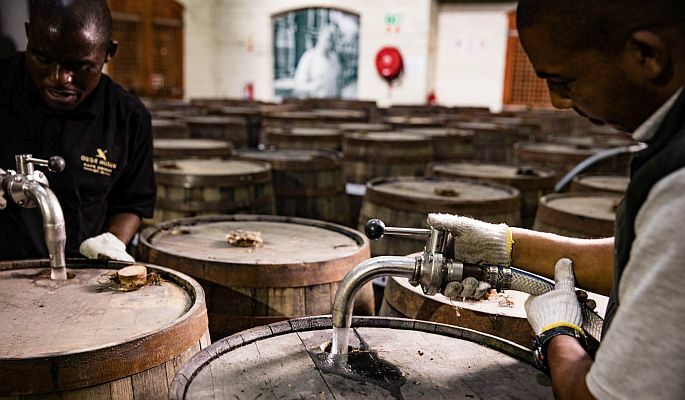 Oude Molen Cape Brandy is a craft product of the vine, perfected and refined by the true artisans hand. 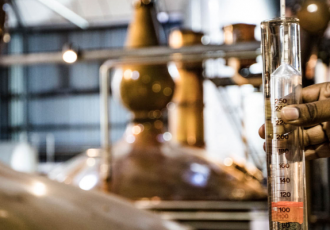 But not many people know how our Cape Brandy is made, or what makes it so special and refined, when compared to standard blended brandy, or lesser international brandy equivalents. Here’s the run down on making our handcrafted world class premium sipping brandy. 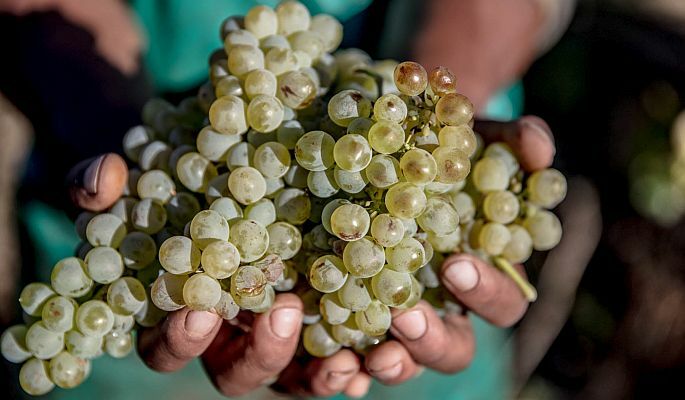 The grapes traditionally, and most commonly used in the production of our Oude Molen Cape Brandy are Chenin Blanc and Colombard. 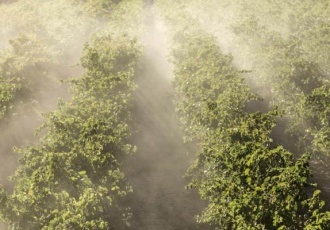 White wine grape varietals have been found to produce consistently fine flavoured brandy when distilled and matured for many years in oak barrels. 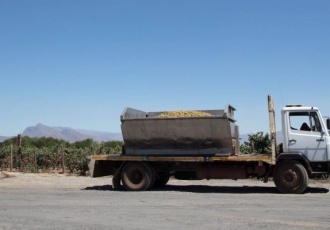 The grapes selected for our Cape Brandy come from only the most well tended vines, and are generally picked early in the harvest season, before fully ripe to provide the best balance of fruit and acidity for optimal distillation. The base wine especially made for our Cape Brandy is fermented from free run grape juice, which means the grapes are not pressed to extract the juice. This helps reduce unwanted tannins and other elements from the stems, pips and skins, which could affect flavour profiles during the distillation. No preservatives or suplhates are added to this base wine for similar reasons. 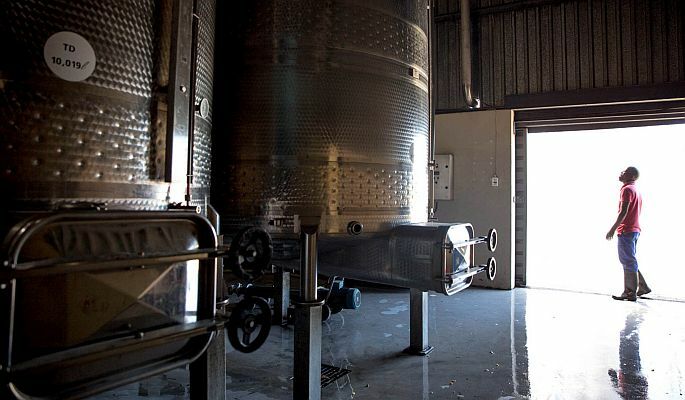 Once the base wine has completed it’s fermentation cycle, it goes straight into the potstill for distillation. 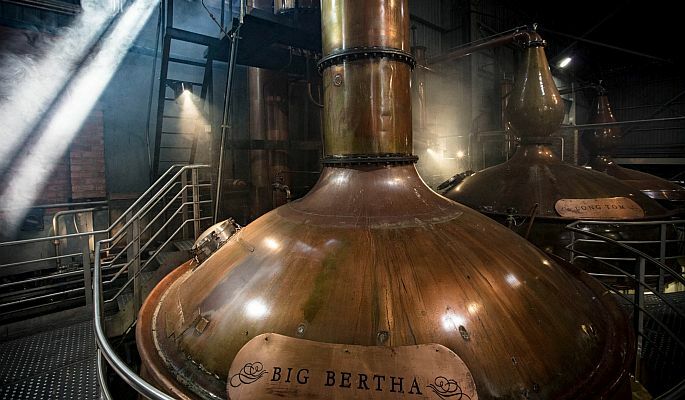 The base wine is pumped into “Big Bertha”, our traditional style copper potstill. The wine is gradually heated in the potstill until the alcohol, which evaporates at a lower temperature than water, separates from the wine. As this vapour rises, it is captured at the top of the potstill in a pipe system that then cools the evaporated alcohol and converts it back into liquid form. This liquid, known as “Low Wine” (around 20% volume) is distilled a second time in the potstill, resulting in an end spirit roughly 70% alcohol. Only the middle third of this second distillation, known as the hearts, is retained and moved into oak barrels for long maturation periods. When the final spirit emerges from the potstill, it is crystal clear and infused with the concentrated flavours and aromas of the original base wine. Through maturation in toasted oak barrels for many years it is given its final character. Its golden hue is passed on along with complex flavours and aromas that were never present in the original wine. A lot of magic happens in the oak barrels, transforming and moulding a clear young and vibrant spirit into the brilliant deep coloured, rich and flavourful brandy we enjoy once bottled. 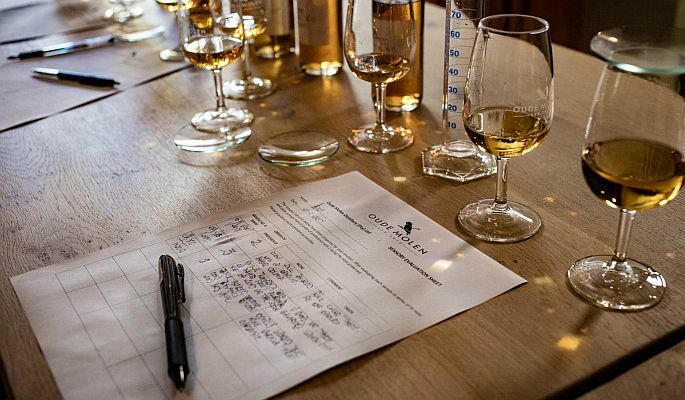 Once the brandy has finished its maturation, the Oude Molen Brandy master selects different brandies form different barrels and works out each of their individual merits. Then, depending on the final style of brandy he wants to make, each will be blended meticulously over and over again until the right balance of aroma and flavour are reached, critically ensuring that what is promised on the nose is followed through to on the palate for your ultimate Oude Molen Cape Brandy sipping pleasure.